4 Amazing Ways to Use Natural Tea Tree Oil for Clear, Healthy Skin! Tea tree oil has long been used as a natural alternative to conventional skincare. From acne treatments to removing makeup and even soothing eczema, we reckon tea tree oil is the ultimate oil for your everyday skincare routine. If you’re currently looking for some new ways to use tea tree oil, keep reading for 4 of our favourite tea tree remedies for clear, healthy and glowing skin! Do you suffer from stubborn spots and blemishes? Tea tree oil might just be the natural solution you’ve been searching for! Tea tree oil is renowned as a home remedy for acne due to its anti-inflammatory and antimicrobial properties. How to use: Dilute 2-3 drops of tea tree oil with 30 drops of witch hazel and apply gently to problem areas using a cotton pad. You can use this remedy as a simple spot treatment, or apply to the entire face as a toner after cleansing. Remember, tea tree oil is potent, so use sparingly and stay out of the sun directly after application as you may be more sensitive to UV rays. Looking for a natural way to remove makeup and residue? Tea tree oil is a natural purifier, while also giving your skin an anti-bacterial boost. How to use: Simply dilute 10 drops of tea tree oil with ¼ cup of your chosen carrier oil and mix well in an airtight jar. To remove makeup, saturate a cotton pad with the mixture. Then, sweep gently over the face before rinsing with warm water. Tea tree oil is anti-inflammatory, making it perfect for soothing itchy and dry skin. You can also use tea tree oil as a natural remedy to reduce itchy eczema flare-ups and irritations. How to use: Mix a few drops of tea tree oil into your everyday moisturiser and massage into the skin immediately after showering. Reapply as needed. Are you an oily skin sufferer? The antiseptic properties of tea tree oil helps to penetrate deep into the skin to unblock the sebaceous glands. How to use: Simply add a few drops of tea tree oil into your daily moisturiser or sunscreen to help reduce shine throughout the day! Where to buy pure Australian tea tree oil online? It’s so important to only use high-quality essential oils, especially when it comes to our skin. Shop our range of 100% pure Australian tea tree oil right here to get started. 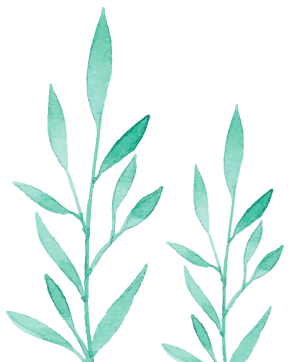 Remember, tea tree oil is strong and potent, so be sure to always dilute with a carrier oil for topical application and do a patch test first for sensitive skin.